Send your love a glimpse into a fairy tale world with this enchanting bouquet! 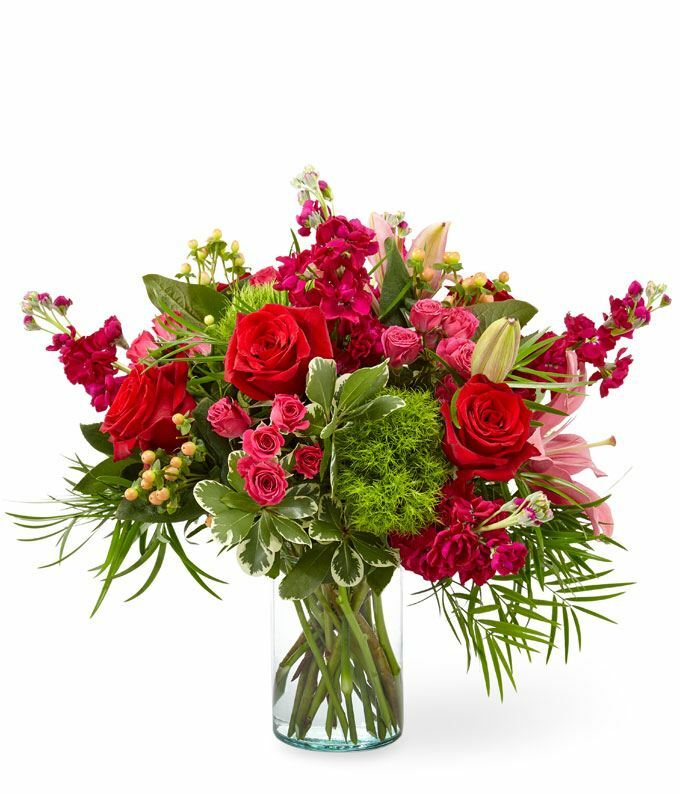 The artfully arranged roses, lilies and stock are sure to transport your recipient to a world of wonder! Approximate arrangement Height 14", Length 18"